In terminology science, there are some terms that you might come across while reading technical articles or blog posts that sound very familiar or in some cases very general. However, they have specific meanings and functions in terminology. 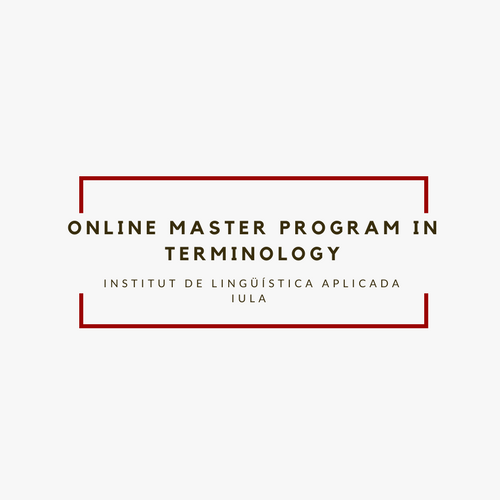 Decoding the terminology of the subject fields, at least the most common terms, is very important for the mutual understanding and effective communication. Over time I have also noticed that some of the fundamental terms such as “context”, “expert”, “specialization”, “end-user” or even the basic term “concept” (particularly the perception and implications of concept regarding its position in terminology) are more controversial. The good news is that we, terminologists, are also struggling with these terms and their implications. This simply is due to the very nature of the humanities and language sciences and shows the dynamics of the subject. So, I have decided to start writing about these terms and presenting some of the most frequent use of them once in a while, and I begin with “expert”. The simplest view of the academic discipline of terminology is that it is somehow concerned with the understanding of terms and the appropriate use of them in a given context or in a subject field. However, this does not take us very far as most subject field specialists know a good deal about the terminology of their domain and they use it every day in various situations such as teaching, reading and academic production. This can be described as the conceptual knowledge of specialized domains. Author BesharatFathiPosted on April 20, 2017 June 1, 2017 Categories Introduction to Terminology, Teaching and LearningTags knowledge, language, linguistics, methodology, popularization, science, terminology5 Comments on What is the most effective way to learn about terminology? Author BesharatFathiPosted on March 8, 2017 June 1, 2017 Categories Introduction to Terminology, Teaching and LearningTags knowledge, language, linguistics, methodology, popularization, science, terminology4 Comments on Terminological Analysis: Where to Begin? When you hear the word “terminologist”, how many images usually come to your mind? One image can be that of the person who spends every moment searching in dictionaries and the internet to find new words, new meanings, and their etymologies. Another image can be that of an academic or translator who always spends time with books and papers. There could be many other images which depend on what you know about terminology and how familiar you are with its tasks and projects. If you are a “terminologist”, and people ask you about your occupation, how often do you need to explain what “terminology” is or is not? It is plausible that you need to add that “it is about the languages”: an oversimplified description; or you might mention “specialized languages” and give some examples. At this point, both sides may reach the mutual understanding, because the language studies are much more recognized than terminology. Indeed, for a lot of people, “terminology” is still a puzzling concept. Author BesharatFathiPosted on October 18, 2016 June 1, 2017 Categories Introduction to TerminologyTags knowledge, language, linguistics, methodology, popularization, science, terminology3 Comments on What is terminology?